Stunning bridal pics that every girl should take a cue from! Don’t you just love browsing wedding albums? All the pictures, memories and celebrations make you happy, right? 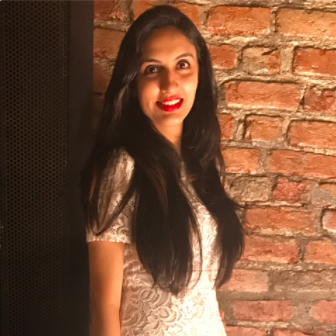 But what makes us the happiest are bridal pics… the bridal outfit, the jewellery, the stunning backdrop, the fun poses, it’s all so fascinating. 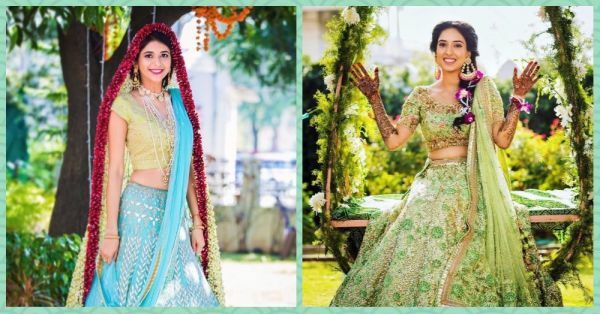 So, here is a virtual album of the 21 most stunning Indian brides and their fab bridal pics that we found on Instagram. They definitely made us sit up and take notice. Only Sabyasachi can make a bride look so effortlessly elegant with his gorgeous designs! We are totally crushing over this gorgeous and unique dupatta made out of real flowers!!! And, obviously her Anita Dongre lehenga. From her infectious smile to the stunning green lehenga, the jhoola and the backdrop, everything is SO perfect! Don’t you simply love the all-gold look this bride pulled off with such elan?! A pretty pink lehenga, and an even prettier bride! No bride can ever go wrong with red… Just look at how charming she looks! And oh-so-royal! 7. Gold And Brown, Anyone? The unique combination this bride chose for her bridal lehenga does not disappoint, at all! The makeup and jewellery are spot on! Those well defined eyes, the layered necklaces and her pop pink blouse… It’s love at first sight and ofcourse makes for stunning bridal pics! We are in love with the sequins on her outfit, and the pose too! You know you want to get clicked like this at your wedding too. This outfit with its breezy colours and simple embroidery is just perfect for the summer bride, don’t you think? The colours, the flowers and the pretty twirling bride, all make for an extremely gorgeous picture. Don’t miss the sassy sunglasses! No matter how long we stare, we just can't get enough of this picture. The bride, the outfit, the backdrop...so regal! 13. Smokey Eyes And All! This bride in her subtle makeup and dresses for wedding by JJ Valaya is a picture of pure elegance! More than this bride’s pink and gold heavily sequined outfit, we love the bridal glow on her pretty face in these bridal pics! 15. A Smile That Could Kill! The perfect look for a morning mehendi function - a light silk lehenga, floral jewellery and a funky AF pair of sunglasses - perfect dresses for wedding and fabulous outcomes! Such happy, happy bridal pics! Every bride needs a shot like this on the most special day of her life, what say? Note to self: Do not forget to get a twirling picture in my bridal lehenga for my bridal pics, whenever I get married! Putting her best foot forward into her new life through these stunning bridal pics, isn’t she? 19. Can’t Get Over Red, EVER! Not just the bride, but even the aura of this picture is so dreamlike! Veils and brides go back a long way! And to this day, nothing looks more elegant than a bride posing in her veil. Absolutely in love with this picture. OMG! Just look at those pretty kaliras! And the bright yellow lehenga. It’s all the #BridalFashionGoals you need for your bridal pics.